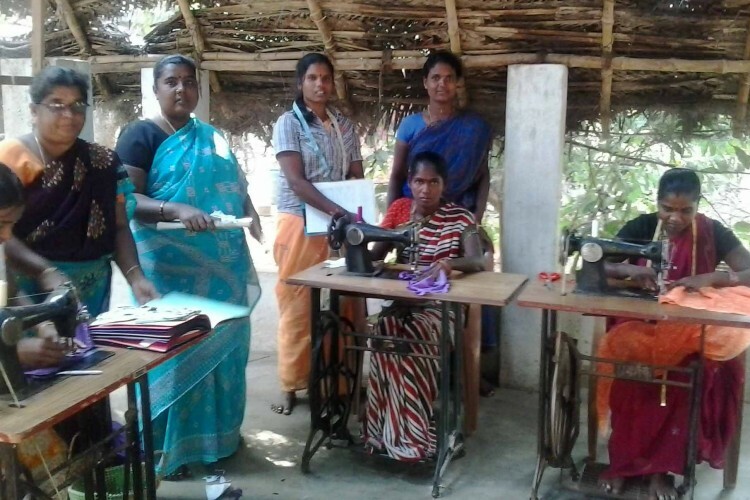 This project concerns 60 women from the Chrompet area, who wants to take advanced tailoring courses in order to develop an income generator activity afterward. We want to give tailoring courses in order to develop an income generator activity for 60 women. Our organization already lead one similar project in 2015: We bought 5 sewing machines to train adolescent girls to learn tailoring. We completed 3 batches. After each, the tailoring students were placed in Export Garments company nearby our Head office in Economic Zones, Out of 38 students, 16 were placed in Export Garments and 12 were having their own tailoring business at home and earning Rs.500/- daily by stitching ladies wears. To enhancing the employability of 60 Nos disadvantaged and poor women, adolescent girls vocational and skill trainings in tailoring. - Provide training in dressmaking in order to acquire the necessary skills to integrate the textile industry. The number of direct beneficiaries of this project would be 60 members from the Chrompet area. The annual number of indirect beneficiaries would be 100 families. Along with more than 70% jobs to be crated through this trained beneficiaries. From June 30, 2017 to September 31, 2017 and from October 2 2017 to January 1, 2018. Your share could be as good as a donation for IRDRP - Institute of Research and Development of Rural Poor! Not everyone can afford to take care of their loved ones. IRDRP - Institute of Research and Development of Rural Poor's life can only be saved by donations made by kind people like you.